This chapter of the thesis will focus on analyzing the gathered data from a quantitative and qualitative perspective. The quantitative results will give a broad overview of the climate perceptions in the best- and worst-case situation and the potential impact of the different types of individual differences that were examined. 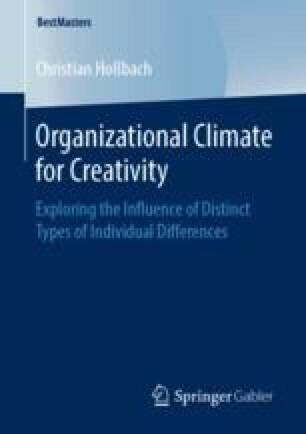 After this, the qualitative results will add more depth by examining different aspects and manifestations of climate and some other factors in the work environment that were perceived to have a positive or negative impact on creativity.